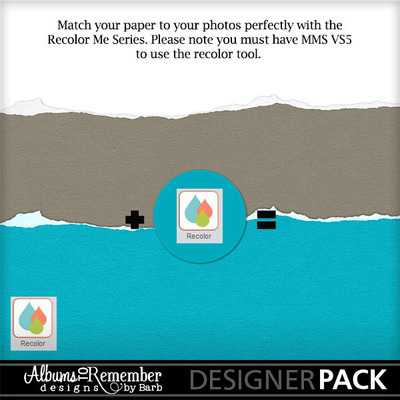 The Recolor Me series is created to use in MMS version 5 (recolor me tool was introduced in this version). 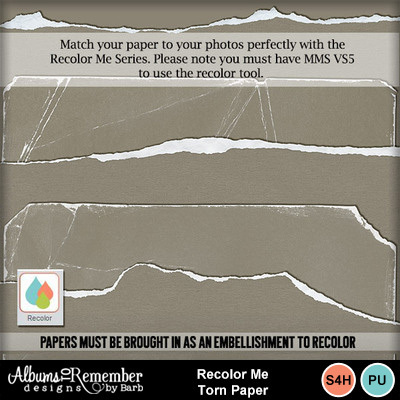 These papers are the perfect tone to take on the color you choose. Please check out the rest of the Recolor Me line for even more layout options.